“Short circuit”: it’s one of those words that everybody almost instinctively knows is not a great thing! Despite that however, not very many of us actually know what a short circuit involves. When it comes to electrical safety, knowing truly is half the battle. 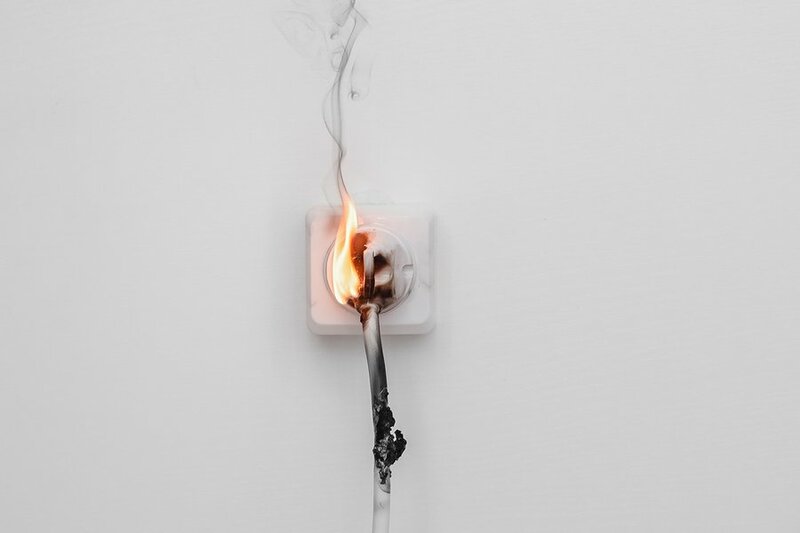 To help you stay safe, our emergency electricians in Melbourne will explain exactly what a short circuit is, and what you can do to stop them from occurring in your home. Before we explain what a short circuit is, we first need to explain what a “regular” circuit is. Anything that uses electricity involves a circuits, from individual appliances to your entire home’s electrical system. Thankfully, they’re usually completely safe. Sometimes however, the electrical currents decide to take a short-cut… and this is where we start running into problems. That’s because in many cases, this short-cut can cause high-voltage currents to be released, often destroying the appliance in question. In some cases, the path of least resistance may actually be a flammable substance, or even your body! Short circuits can sadly lead to tragic outcomes. Throughout the years, short circuits have led to the loss of many lives, including one in late February when many hotel guests in India were killed in a hotel fire likely caused by short circuit. Like we mentioned above, electricity takes the path of least resistance – in fact, that’s where the phrase comes from! Thankfully, electrical circuits are designed to minimise the risk of this happening. Electrical wiring is protected by insulating rubber sheaths that force electrical currents to follow the designated circuit. Rubber is non-conductive, meaning electrical currents physically can’t pass through them. When this insulation degrades however (as is the case with old wiring), live wires may be exposed. 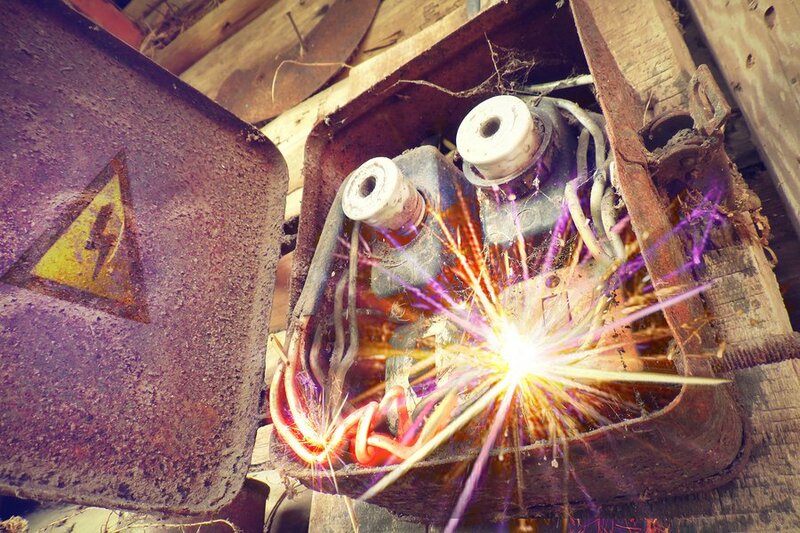 Left unfixed by an emergency electrician in Melbourne, this can result in a short circuit. Another common cause is faulty internal wiring in appliances. When the internal circuitry is poorly installed or the appliance is poorly made, short circuits may result. More specifically, attachments can loosen, sometimes allowing live and neutral wires to touch. When this happens, the best course of action is to get your appliance looked at by a professional. Hopefully, your warranty hasn’t expired yet! When you plug an appliance into an outlet, the electrical outlet essentially becomes part of the appliance circuit. As such, loose wires inside the outlet can lead to short circuits. If you hear a strange flickering sound whenever you turn on the switch, that may be a sign that there are loose wires inside that switch or outlet. If that’s the case, it may be time to get your outlets replaced. In particular, we recommend focusing on cords and wiring insulation. Any signs of damage with these are common signs of a short circuit, and should be taken as a sign that you may need to buy a replacement very soon. In particular, it’s a good idea to get outlets replaced altogether if they’ve been there for more than 20 years. What’s the best way to stop a short circuit before it does damage? To close the circuit, that’s how. Using switches (and fuses for older homes), circuit breakers will cut the supply of electricity the instant they detect a power surge or short circuit, thereby keeping your home or business safe. As such, it’s crucial that these important safety features are fully functional. Unfortunately, many homeowners don’t concern themselves with matters relating to their circuit breakers. As part of an electrical inspection, your local electrician in Melbourne will inspect your circuit breaker for any damage, loose fittings, or cracks that might accumulate over time. We know, it’s obvious – but it still needs to be stated. Water is one of the leading causes of short circuit out there. Water is extremely conductive – electricity passes through with minimal resistance. Given what you now know about short circuits, it’s no surprise why water is one of the most common causes of a short circuit! As such, we recommend keeping appliances such as phones, electric toothbrush chargers and hair dryers as far away from your sink as possible, as well as using safety plugs to keep outlets dry when not in use. Make it a habit to have your electrical wiring, outlets, switches, and appliances checked by a licensed electrician every year. During an electrical inspection, your sparkie will assess your risk of short circuits as well as identify any other potential problems. In addition to identifying issues, a local electrician can also help by updating old circuit breakers, outlets and wiring. For example, to insulate you against short circuits caused by old electrical outlets, your sparkie may recommend replacing your outlets with safer GFCI outlets. Need a 24hr domestic and emergency electrician in Melbourne? So now you know what to do to protect yourself from short circuits. However, that still leaves a bit of a problem: namely, what do you do if your house does experience a short circuit? Briggs Electrical’s emergency electricians in Melbourne provide a 24-hour emergency and domestic services for any and all electrical problems. Our team of reliable electricians deliver rapid and safe on-the-spot solutions. We’ll keep you and your family safe by ensuring that all your electrical systems are up-to-date and working as designed. Contact Briggs Electrical anytime on 1300 300 222 or fill in the form to book a job with us!